John of Patmos is the name given to the author of the Book of Revelation (Apocalypse of John) in the New Testament. According to the text, the author, who gives his name as "John," was living in exile on the Greek island of Patmos. He writes to the seven Christian churches in Asia to warn them of various challenges and temptations that confront them, which have been revealed to him in a vision. He then relates several additional powerful visions concerning the Last Days and the Second Coming of Christ. Since John of Patmos, in contrast to the author of the Gospel of John, did not have a good command of Greek and exhibits a more overtly Jewish attitude than the other "John," some believe that it is he, and not the author of the Gospel of John, who should be identified as John the Apostle. Even if he is the author only of the Book of Revelation, John of Patmos' writing had a major impact on Christian tradition and history, inspiring numerous millennialist movements and millions of contemporary believers with his powerful and sometimes frightening vision of the Second Coming of Christ. Because of the island's association with John's suffering and his writing of the Book of Revelation, Patmos became an important destination for Christian pilgrimages. Today, visitors can still see the cave where John is said to have received his revelation, and several monasteries on the island are dedicated to Saint John of Patmos. The traditional view holds that John of Patmos is identical with John the Apostle who is believed to have written both the Gospel of John and epistles of John. He was exiled to the island Patmos in the Aegean archipelago during the reign of Emperor Domitian or Nero, and wrote the Book of Revelation there. Those in favor of a single common author of the Johannine literature point to similarities between the Gospel of John and Revelation. For example, both works refer to Jesus as a lamb and possess a "high Christology," stressing Jesus' divine side as opposed to the human side portrayed more by the Synoptic Gospels. Moreover, in both the Gospel of John and in Revelation, Jesus is referred to as "the Word of God" (Ő λογος του θεου). Explanations of the differences among John's supposed works include factoring in their purposes, target audiences, the possible use of different scribes, and John's advanced age when he wrote the Book of Revelation. A number of Church Fathers expressed an opinion on the authorship of Revelation, most in the West favoring the view that John of Patmos was indeed the same person as the author of the Gospel of John, but many in the East expressed misgivings. Justin Martyr (mid-second century) avowed his belief in the book's apostolic origin. Irenaeus (178 C.E.) likewise held the author of both Revelation and the other Johannine literature to be the same. However, Irenaeus and others indicate that a sect called the "Alogi" denied the authenticity of Revelation, believing it to have been written not by John the Apostle but by the Jewish-Christian teacher Cerinthus, who emphasized the need to follow the Jewish law and denied the divinity of Christ. Caius, a presbyter in Rome, held a similar opinion, believing John of Patmos to be Cerinthus. Eusebius quotes Caius as saying: "Cerinthus, by means of revelations which he pretended were written by a great Apostle, falsely pretended to wonderful things, asserting that after the resurrection there would be an earthly kingdom" (Hist. Eccl., III, 28). Theophilus of Antioch and Tertullian of Carthage, however both accepted the Book of Revelation as having been written by John the Apostle. At the beginning of the third century, the book was accepted as apostolic by Clement of Alexandria and by Origen, and later by Methodius, Cyprian, and Lactantius. Origen's disciple Dionysius of Alexandria (247 C.E. ), however, rejected it on the grounds that, although it was the work of an inspired man, he was not John the Apostle (Eusebius, Hist. Eccl., VII, 25). Dionysius pointed to numerous stylistic and theological differences between Revelation and the Gospel of John, anticipating the arguments of many modern critics. Some other authorities, especially in the Eastern Church, also rejected the book and thus denied that it could have been written by John the Apostle. The church historian Eusebius (315 C.E.) suspended his judgment, categorizing the book's apostolic origins as disputed: "The Apocalypse is by some accepted among the canonical books but by others rejected" (Hist. Eccl., III, 25). During the fourth and fifth centuries, the tendency to exclude the Apocalypse from the list of sacred books continued to increase in the Syro-Palestinian churches. Saint Cyril of Jerusalem did not name it among the canonical books (Catech. IV, 33-36); nor did it occur on the list of the Synod of Laodicea, or on that of Gregory of Nazianzus. It was also excluded from the Peshito, the Syrian version of the New Testament. 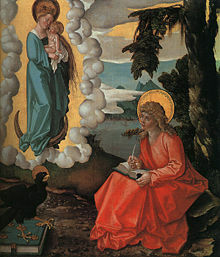 In the West, Saint Jerome also expressed doubts that John of Patmos was the writer of the Gospel of John. With the advent of modern biblical criticism, many scholars, both secular and Christian, came to believe that John the Evangelist (who wrote the Gospel of John), and John of Patmos were two separate individuals. They point to several lines of evidence suggesting that John of Patmos wrote only Revelation, not the Gospel of John or the epistles of John. For one, the author of Revelation identifies himself as "John" several times, but the author of the Gospel of John and the writer of the epistles of "John" never identify themselves by name. In contrast to the author of the Gospel of John, John of Patmos speaks very much as a Jewish Christian, referring to Jesus as he who "holds the key of David" (3:7) and the "Lion of the tribe of Judah, the Root of David." (5:5) He also condemns the careless attitude of some of the Pauline churches who permitted eating food which had been offered to idols (2:14, 2:20). Moreover, for John of Patmos, the "elect" saints are not Gentile Christians but "144,000 from all the tribes of Israel," with 12,000 coming from each specifically-named tribe (7:4-8). A great multitude of Gentiles "from every nation" are also included, but not among the 144,000 (7:9). Also, while both the Gospel of John and the Book of Revelation liken Jesus to a lamb, they consistently use different words for lamb when referring to him—the Gospel uses amnos, Revelation uses arnion. Lastly, the Gospel of John is written in nearly flawless Greek, but Revelation contains grammatical errors and stylistic abnormalities which indicate its author was not as familiar with the Greek language as the Gospel's author. These factors lead some critics to the opinion that of all the New Testament literature attributed to John the Apostle, the Book of Revelation is the most likely to have been actually written by him. Most scholars agree that Emperor Domitian is the most likely candidate as the initiator of the persecutions to which John of Patmos refers. Scholars of both critical and traditional orientation agree that John of Patmos appears to have been in some type of imposed exile and that he wrote during a period when the Christian churches were experiencing persecution. 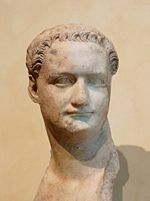 According to early tradition, John wrote near the end of Domitian's reign, around 95 or 96 C.E. Others contend for an earlier date, 68 or 69, in the reign of Nero or shortly thereafter. The majority of modern scholars also use these dates. Those in favor of the later date cite the fact that the Neroan persecution was limited to Rome, while John of Patmos speaks of the churches suffering persecution throughout Asia Minor. In addition, Irenaeus (d. 185), states that he had received information from those who had seen John face to face and that John recorded his revelation "almost in our day, toward the end of Domitian's reign" (A.H. 5.30.3). According to Eusebius as well, it was Domitian who had started the persecution referred to in the book. Many scholars agree that the famous number 666, identifying the "Beast" of Revelation, refers to Nero. However those favoring a late date see this reference as an allegory, with Nero symbolizing a later tyrant, such as Domitian. Regardless of John of Patmos' true identity, the revelations he recorded have had a major impact. With the exception of Jesus himself, he is the Christian prophet par excellence. His promise of the immediate Second Coming of Christ and the establishment of the New Jerusalem has led believers in nearly every generation to see themselves as part of the 144,000 who will reign with Christ for 1,000 years. At the same time, John's vivid descriptions of "woes" and punishments for the vast majority of mankind has led many to despair, since so few seem to be counted among the elect. 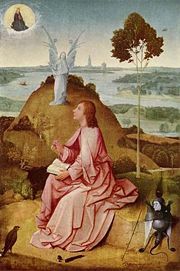 Throughout history, John of Patmos' visions have motivated numerous millennialist movements, as well as a tremendous volume of literature, and numerous works of art. In today's Christian world, dozens of groups see the prophecies of John of Patmos as being fulfilled through their ministries, ranging from fundamentalist preachers, to millennialist sects such as the Jehovah's Witnesses and Seventh Day Adventists, to popular writers of Christian fiction such as Hal Lindsey and Tim LaHaye, and to new religious movements such as the Unification Church. ↑ It is also possible to interpret John's words "because of the word of God and the testimony of Jesus" to mean that he had gone to Patmos to do missionary work, but since the island was known to house a Roman penal colony, it is generally accepted that John did not go there willingly. ↑ Some sources describe Cerinthus as more Gnostic than Jewish-Christian, or possibly as a combination of the two. History of "John of Patmos"
This page was last modified on 27 August 2008, at 03:25.